United Cutlery M48 U.S.M.C. Tactical Hammer is officially licensed by the United Stated Marine Corps. 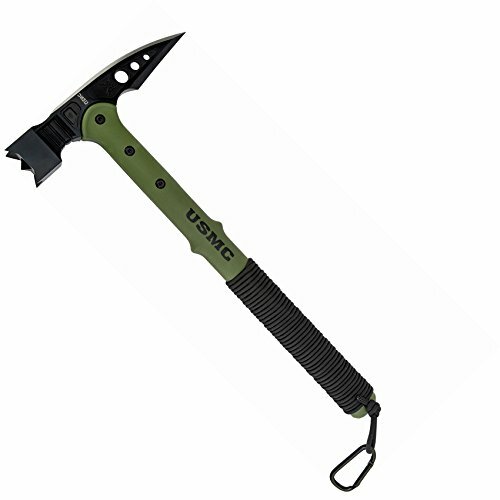 The Marines need a tool they can count on, and United Cutlery delvers in a big way with this USMC tactical war hammer. The steel head is cast 2Cr13 stainless steel measuring 7 3/4 inches. A cord wrapped handle ensures a secure grip, along with a rubberized sheath, and an included carabineer.